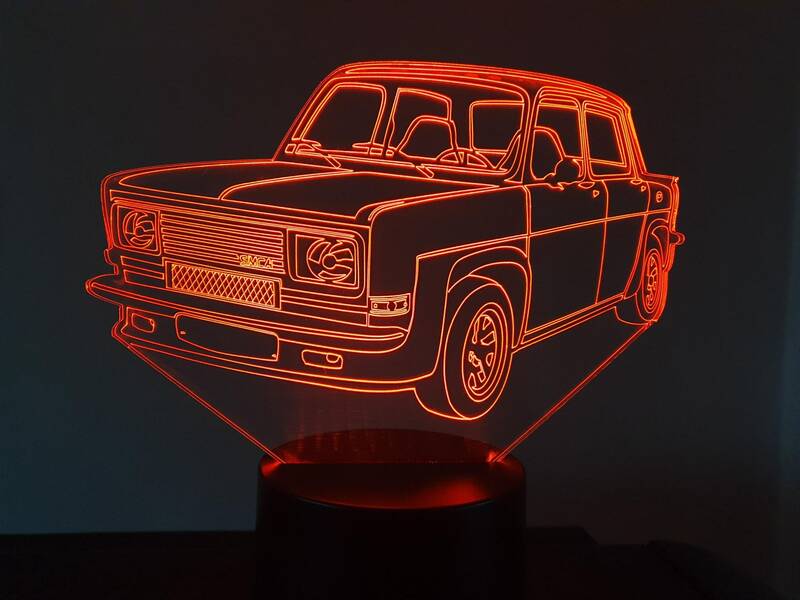 LED 3D AMBIENT LAMP, LASER ENGRAVING ON ACRYLIC, BATTERY POWER OR USB CABLE. For use in a room lamp or in a Nightlight. Battery powered (not included) or USB cable (supplied). This drawing is a very precise realization of a very great originality. Very economical consumption. 0.012 kWh/24h. Led lifetime: 10000 hours. 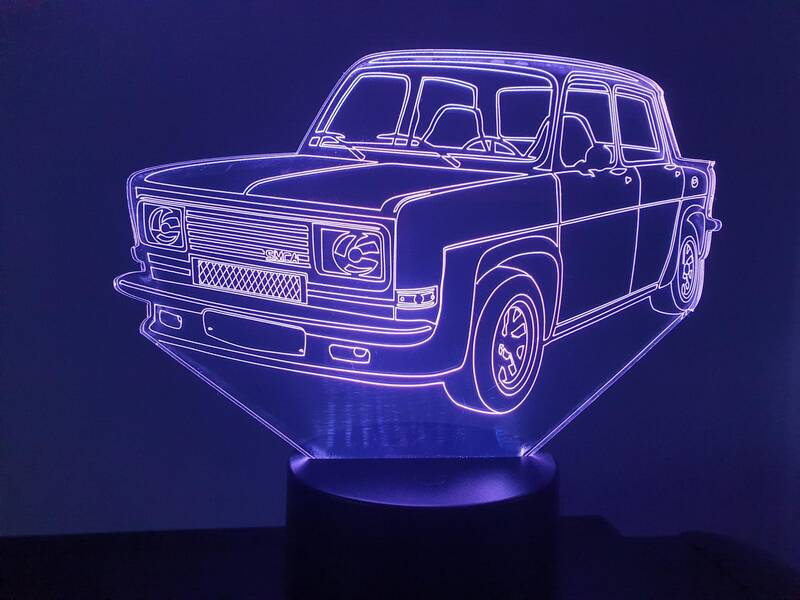 The package includes: 1 base (with housings for 3 AA batteries not included); 1 acrylic plate with laser engraved design; a USB power cable, a manual. Drawing dimensions: 195 mm in its larger length.